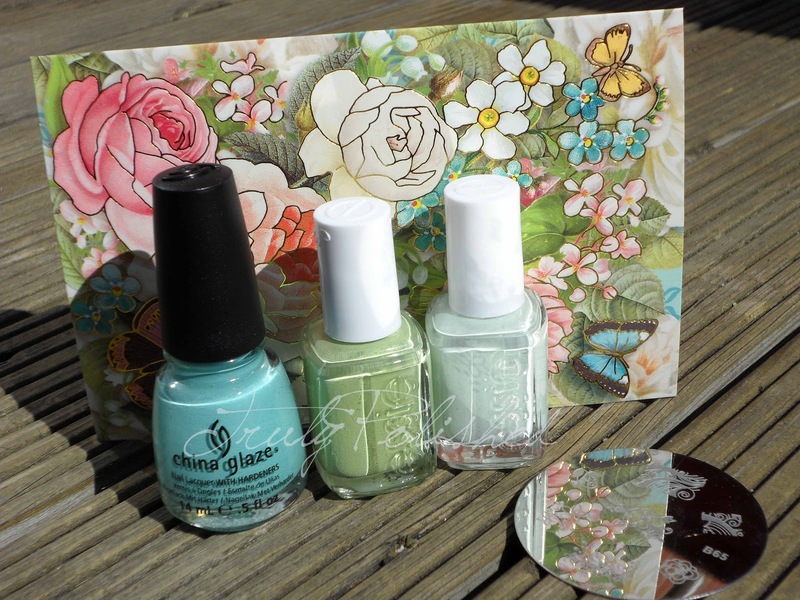 Truly Polished: More Nail Mail! Hi guys, another post for today! One of my favourite things is shopping online. I buy stuff most days but what I hate is when I miss the postman for some reason! Especially when I've ordered more than one thing so I don't know exactly what I've missed when I see my attempted delivery slip! When I got home last night I had TWO of these slips! I'm waiting for a few swap packages, and a lot of online orders so I was really curious to find out what I had missed, so today I rushed down to the sorting office to collect my things. It was some serious nail mail! 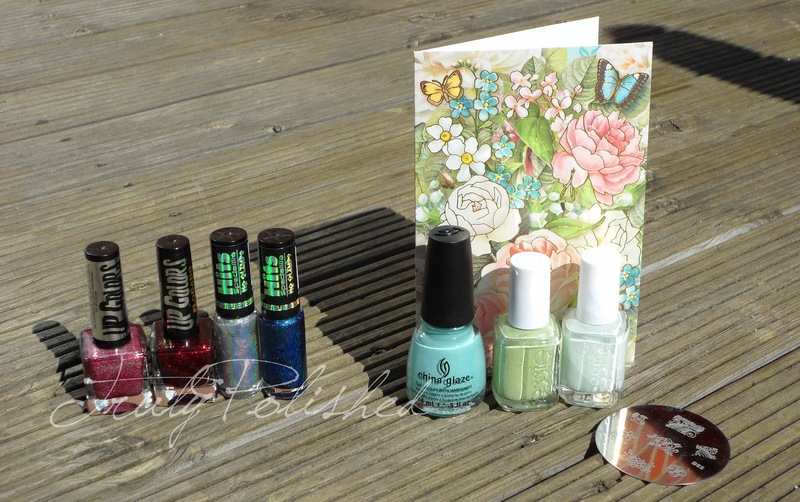 One package was from a polish buddy, Crystal from Crys Loves Polish and the other was an order from Llarowe. I did a swap with Crystal for two bottles of Max Factor's Fantasy Fire and she sent me Essie's Absolutely Shore and Navigate Her, as well as China Glaze For Audrey. She added an image plate for good measure and sent me such a cute little card! 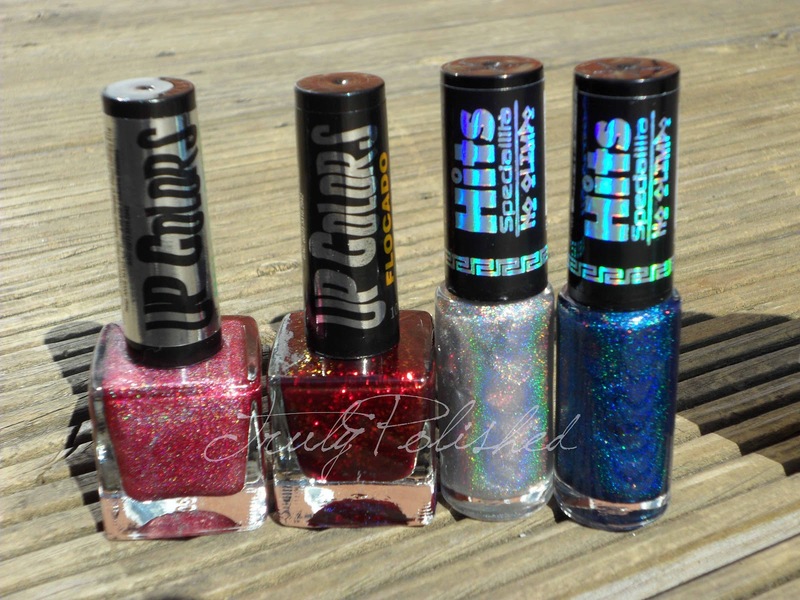 My Llarowe order included a couple of the HITS No Olimpo polishes plus two polishes from Up Colors, one holo and one flakie. I can't wait to swatch all of these!!! I really can't pick which one of these is my favourite! OMG those HITS are TO DIE FOR!! You got some AWESOME stuff!! Thanks! I think so too! The HITS No Olimpo collection is probably my favourite collection of all time! Apart from the gold and the silver (not the Hefesto topcoat that I got) I could happily have them all, and I'm working on it!